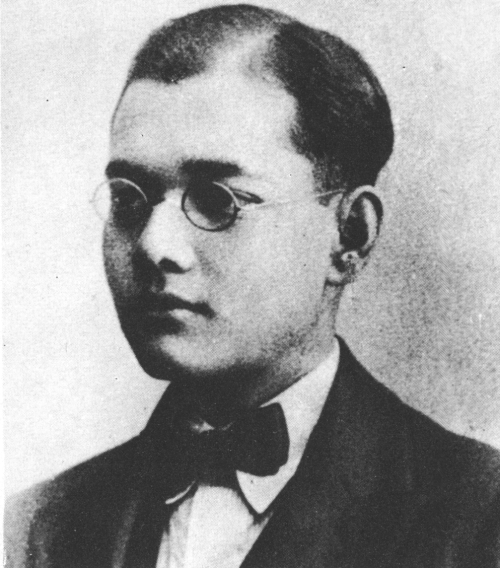 Subhas Chandra Bose was an Indian nationalist whose attempt during World War II to rid India of British rule with the help of Nazi Germany and Japan left a troubled legacy. 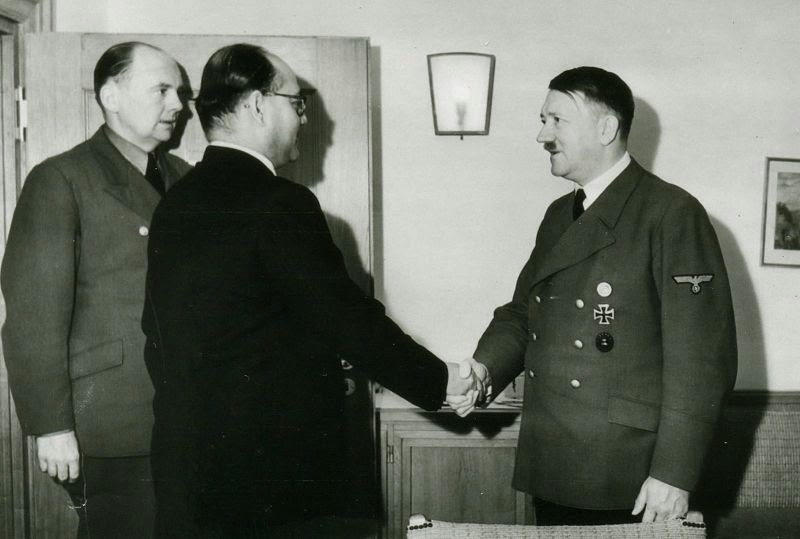 The honorific Netaji, first applied to Bose in Germany, by the Indian soldiers of the Indische Legion and by the German and Indian officials in the Special Bureau for India in Berlin, in early 1942, was by 1990 used widely throughout India. 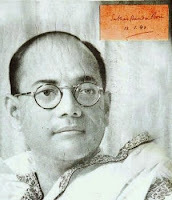 Earlier, Bose had been a leader of the younger, radical, wing of the Indian National Congress in the late 1920s and 1930s, rising to become Congress President in 1938 and 1939. However, he was ousted from Congress leadership positions in 1939 following differences with Mohandas K. Gandhi and the Congress high command. He was subsequently placed under house arrest by the British before escaping from India in 1940. Bose arrived in Germany in April 1941, where the leadership offered unexpected, if sometimes ambivalent, sympathy for the cause of India's independence, contrasting starkly with its attitudes towards other colonised peoples and ethnic communities. In November 1941, with German funds, a Free India Centre was set up in Berlin, and soon a Free India Radio, on which Bose broadcast nightly. A 3,000-strong Free India Legion, comprising Indians captured by Erwin Rommel's Afrika Korps, was also formed to aid in a possible future German land invasion of India. During this time Bose also became a father; his wife, or companion, Emilie Schenkl, whom he had met in 1934, gave birth to a baby girl. By spring 1942, in light of Japanese victories in southeast Asia and changing German priorities, a German invasion of India became untenable, and Bose became keen to move to southeast Asia. Adolf Hitler, during his only meeting with Bose in late May 1942, suggested the same, and offered to arrange for a submarine. Identifying strongly with the Axis powers, and no longer apologetically, Bose boarded a German submarine in February 1943. In Madagascar, he was transferred to a Japanese submarine from which he disembarked in Japanese-held Sumatra in May 1943. With Japanese support, Bose revamped the Indian National Army (INA), then composed of Indian soldiers of the British Indian army who had been captured in the Battle of Singapore. To these, after Bose's arrival, were added enlisting Indian civilians in Malaya and Singapore. The Japanese had come to support a number of puppet and provisional governments in the captured regions, such as those in Burma, the Philippines and Manchukuo. Before long the Provisional Government of Free India, presided by Bose, was formed in the Japanese-occupied Andaman and Nicobar Islands. Bose had great drive and charisma—creating popular Indian slogans, such as "Jai Hind,"—and the INA under Bose was a model of diversity by region, ethnicity, religion, and even gender. However, Bose turned out to be militarily unskilled, and his military effort was short lived. In late 1944 and early 1945 the British Indian Army first halted and then devastatingly reversed the Japanese attack on India. Almost half the Japanese forces and fully half the participating INA contingent were killed. The INA was driven down the Malay Peninsula, and surrendered with the recapture of Singapore. Bose had earlier chosen not to surrender with his forces or with the Japanese, but rather to escape to Manchuria with a view to seeking a future in the Soviet Union which he believed to be turning anti-British. He died from third degree burns received when his plane crashed in Taiwan. Some Indians, however, did not believe that the crash had occurred, with many among them, especially in Bengal, believing that Bose would return to gain India's independence. 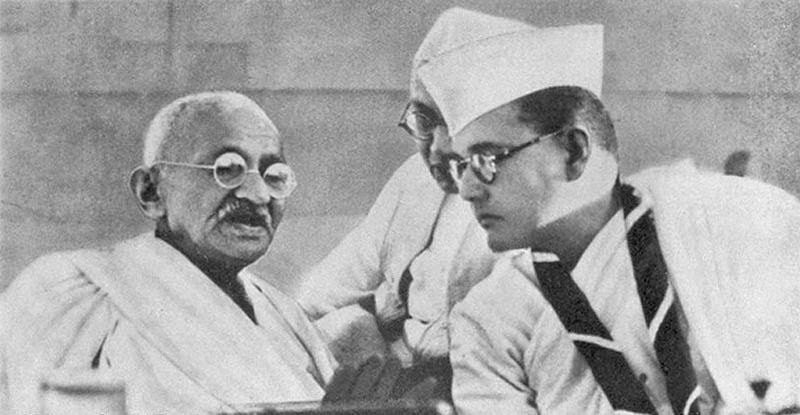 The Indian National Congress, the main instrument of Indian nationalism, praised Bose's patriotism but distanced itself from his tactics and ideology, especially his collaboration with Fascism. The British Raj, though never seriously threatened by the INA, charged 300 INA officers with treason in the INA trials, but eventually backtracked in the face both of popular sentiment and of its own end. His nationalistic temperament came to light when he was expelled for assaulting Professor Oaten for the latter's anti-India comments. He later joined the Scottish Church College at the University of Calcutta and passed his B.A. in 1918 in philosophy. 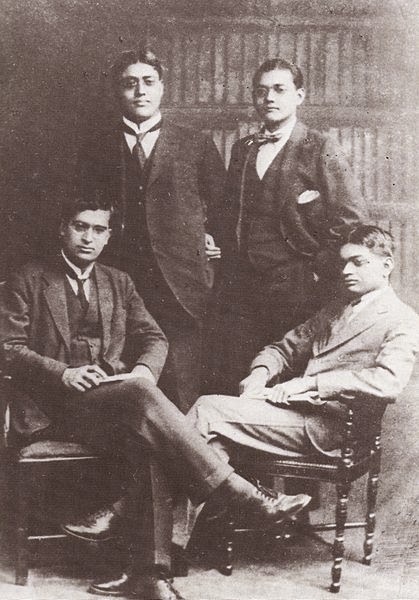 Bose left India in 1919 for England with a promise to his father that he would appear in the Indian Civil Services (ICS) examination. He went to study in Fitzwilliam College, Cambridge and matriculated on 19 November 1919. He came fourth in the ICS examination and was selected, but he did not want to work under an alien government which would mean serving the British. As he stood on the verge of taking the plunge by resigning from the Indian Civil Service in 1921, he wrote to his elder brother Sarat Chandra Bose: "Only on the soil of sacrifice and suffering can we raise our national edifice."